Looking for love online can lead to the loss of tens of thousands of dollars, if you become the victim of scammers who know all the right lines and convince you to send money to pay for their increasing hardships. Six months after Joseph’s wife died suddenly, he posted his profile on a Christian dating site. Almost immediately, a woman named Melanie contacted him. She was English, and her profile picture showed a charming pink-cheeked complexion. Within months of their online courtship, Melanie professed her love for Joseph and told him he was the man she had been looking for her whole life. Soon after, she mentioned that her mother had cancer but couldn’t afford the treatments (despite the fact that England has socialized medicine). When using an online site, don't provide your last name, your address or where you work until you've actually met—and be wary of suitors who ask for any of this personal information too quickly. If you're using a mobile app, turn off your location settings so scammers can't figure out where you live. Before you engage with anyone on a dating site, use Google's "search by image" feature to see if that person's image shows up in other places using a different name. Many scammers work by stealing people's photos and assuming their identities. Do an online search to see if your suitor’s claims match information on social media websites. Is what you read on the person's Facebook, Twitter or LinkedIn pages consistent with what you're being told. Access physician licensing and outcome data, as well as facility accreditation and outcome data, for medical care outside the United States. If you get a suspicious email, use a search engine to check it out. Cut and paste the e-mail into Google and see if the words pop up on any romance scam sites. After Joseph sent Melanie money to help out, the two made plans for her to fly to his Kansas City home, and Joseph was only too happy to pay her airfare. But airport security in London arrested her, Melanie told him, because she had pain medicine, a controlled substance. So, he sent her money to hire a lawyer. However, Melanie’s misfortunes continued. A hotel in England wouldn’t let her leave because she was unable to pay the bill. After Joseph sent her money for the hotel and for airfare for Melanie to visit him, their plans to see each other were again foiled when the plane crashed in Iowa. Though there had been no news of a plane crash, and Melanie’s stories were becoming increasingly implausible, Joseph was too heavily invested—both financially and emotionally—to doubt Melanie’s story. In the end, he was out $30,000, a small amount compared to the average loss suffered by victims of romance scammers. While figures are hard to come by, in Vermont, victims typically lose $40,000 to $100,000, according to the Public Protection Division of the Vermont Attorney General’s Office (New York Times). Nationally, between July 1 and Dec. 31, 2014, nearly 6,000 people registered complaints of such romance scams with losses of $82.3 million, according to the federal Internet Crime Complaint Center. Seniors are especially susceptible because they have a lifetime of savings, own their own homes and tend to be more trusting. Scammers often target women, especially in their 50s and 60s who live alone. Once they realize they have been lured into the scammers’ web, besides losing a lot of money—sometimes their life savings—they are embarrassed and don’t want to tell anyone, least of all family and friends. A romance scam starts when someone contacts you on a dating or social network site, supposedly impressed by your profile. When you check out their profile, you’ll find a picture of a good-looking man or woman who either works or lives overseas. A man may tell you he’s an oil worker on a deep-sea rig, a U.S. military officer deployed in a war zone or a businessman who travels overseas most of the time—all plausible explanations as to why you can’t meet face to face. Soon, your suitor will suggest communicating by private email, telephone or instant message, rather than on the public dating site. He or she will present themselves as thoughtful, caring and loving, someone who is looking for their soul mate—and you’re the one. You might be sent love poems or small gifts, and you’ll exchange confidences with this person. Once a bond has been made, the suitor will reveal some hardship—a hospital bill or car repair—which you are only too happy to help pay for. But the requests will start to increase, as this person seems to befall tragedy at every turn: a huge hospital bill after they were mugged on the street or a son or daughter (from a previous and difficult marriage) who has a fatal illness and no medical insurance. Your new friend might ask for help in cashing a check that they are unable to cash themselves. Because you know this is the man or woman of your dreams, you do everything you can to keep the relationship going, even at a cost of thousands of dollars. In reality, this potentially perfect mate is most likely a Nigerian or other African working from a script carefully designed to have all the right romantic lines. They likely created a fake profile by hacking into a dormant dating profile and altering information such as age, gender and occupation. By cashing their checks, you may unknowingly be taking part in a money-laundering scheme. Although victims of these scams range across different economic and social classes, they often share a particular psychological trait: a strong belief in romantic destiny. 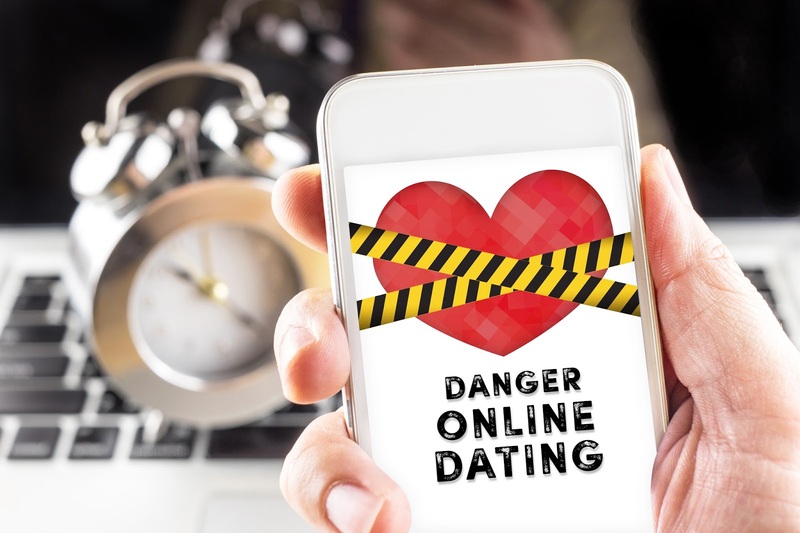 Psychologist Monica Whitty, who specializes in romance-scam research, found that those who take the bait for these scams tend to score higher on tests that measure how much they idealize romantic love (from Wired). Their profile disappears from the website after a conversation begins. They claim it was destiny or fate, and you are meant to be together. They claim to love you either immediately or within 24 to 48 hours. They immediately start using pet names with you: hon/hun, baby/babe, sweety/sweetie. They claim God brought you together. Their spelling and grammar are atrocious. They consistently use web speak or abbreviations: u, r, ur, cos, pls/plz, ma, sry, brb, div. They like to send you poems or love letters, most of which can be traced to lovingyou.com. They claim to have lost a spouse/child/parent in a horrific traffic or airplane accident, or are sick or in the hospital. They have no close family members, friends or business associates to turn to so can rely only on you. The details they give you when instant messaging or emailing are often different than what they stated on their profiles. Common inconsistencies include their birth date, height/weight and age. They often misspell the cities or towns they claim they are from and are unfamiliar with local landmarks and attractions. Don’t Fall in Love with a Romance Scammer is a featured article in the January 2016 Senior Spirit newsletter.